You are at:Home»News»News Briefs»Would your student like to learn, explore and dive into some fun this summer? Would your student like to learn, explore and dive into some fun this summer? Dallas ISD is providing summer enrichment camps through its Summer Achievers Academy, a Dallas ISD partnership with Dallas City of Learning and Big Thought. Summer Achievers is a tuition-free, full day enrichment summer camp designed to provide creative, extra-curricular opportunities to district students to support their interests beyond the traditional classroom setting. Students accepted to the program are eligible for tuition from their home campuses and will receive free breakfast, lunch and dinner. 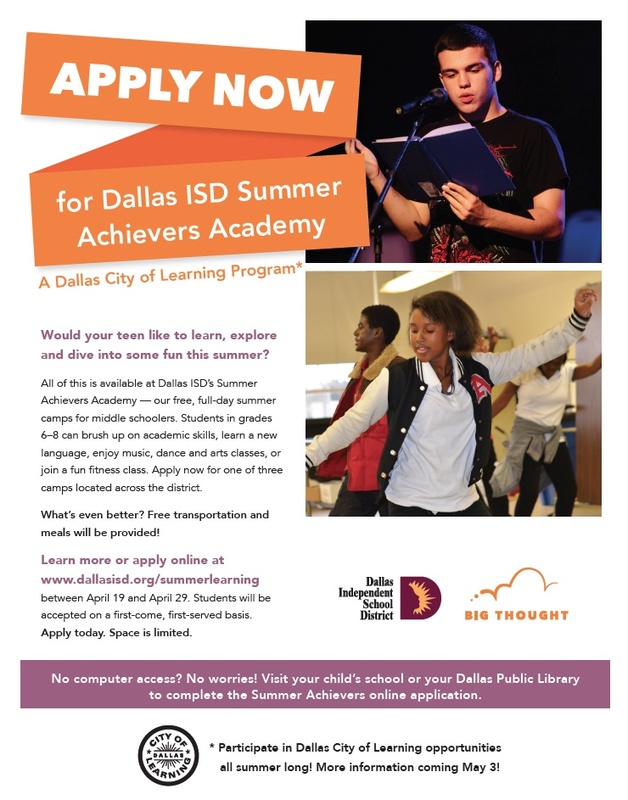 Apply to Dallas ISD’s Summer Achievers Academy, a Dallas City of Learning Program — Dallas ISD’s free, full-day summer camps designed for elementary students in grades K-5 and middle schoolers in grades 6-8. Students can brush up on academic skills, enjoy music, dance and arts classes, or join a fun fitness class. Summer Achievers will take place at five select elementary campuses and three select middle school campuses. This summer enrichment opportunity will be held from 8 am to 4 pm, Monday through Thursday, June 27 through July 28 for elementary students and from 9 am to 5 pm, Monday through Thursday, June 27 through July 28 for middle school students. Students are eligible for free transportation from their Dallas ISD home school and all students will receive breakfast, lunch and dinner along with their participation in the Summer Achievers Academy. Those interested can apply between April 19 and April 29. Students will be accepted on a first-come, first-served basis. Learn more or apply online at www.dallasisd.org/summerlearning. 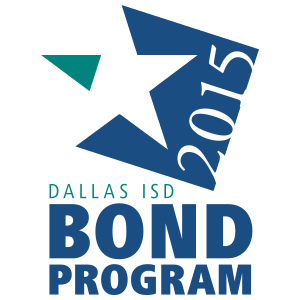 Students can participate in Dallas City of Learning opportunities all summer long. Visit www.dallasisd.org/summerlearning for more information starting May 3.